This entry was posted in Vettius Valens. Thank you, Peter for you encouragement words:-) I really appreciate your comments! It may be of interest to know one of the ways this freewill and fate issue was looked at in jyotisha or the ancient and classical astrology in Sanatana Dharma and other paths in Bharata. It is more sophisticated than the usual ‘either-or’ propositions of the tired arguments of freewill vs. fate. 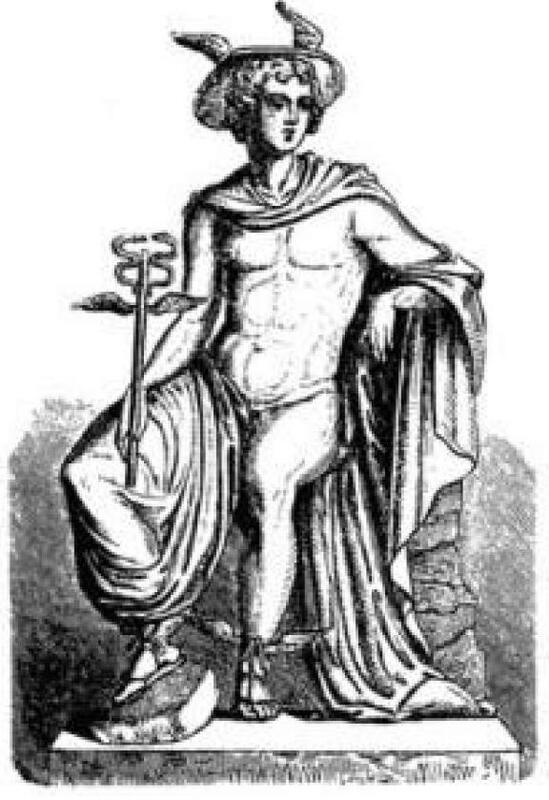 Modern paradigm astrologers only say there is no fate because they lack the astrology knowledge and learning found in the classical and ancient astrology texts and have not seen actual ancient astrology aphorisms involving various yogas, play out exactly as listed in the text concerning concrete physical things at exactly the dasha periods they were said to happen in. It is said there are 3 types of karma and they necessarily include the premise of reincarnation ( – of which reincarnation is also found mentioned in the Myth of Er or Republic by Plato as well as the Poetic Edda of the ancient Indo-European Norse tradition). Reincarnation, of the jiva or immortal essence, that exists before and after physical death of the biological organism, but one could likely create a metaphysical view without including reincarnation and still make sense of this ‘trinity’ approach, if one was averse to reincarnation for some reason. It could be as simple as stating the energy of this portion of the universe was in such-and-such a state at birth and that energy will produce these events, whether or not previous lifetimes existed, but in neither case does having freewill necessarily preclude the existence of what humans call ‘fate’. 1) Sanchita karma: The total collection of karma a jiva has from all previous lives whether as an insect or a human or a being from another loka or universe. 2) Prarabdha karma: The portion of sanchita karma which the jiva will experience in the present birth, represented by the natal chart and derivatives thereof. However, there are techniques and derivative charts in Jyotisha which are said to be a picture of a previous life karma, but in basic and simple terms, we can say the natal chart represents that portion of sanchita karma called prarabdha karma. Prarabdha karma is the fate portion of the present life of the native. 3) Kriyamana karma: The karma which is accruing at the moment, based on our choice of actions and thoughts and words that we are making at the present moment, and this karma will bear fruit in the future of this birth and/or in a future life of the jiva. One of the other variations on this issue is that for some reason the upachaya houses are said to be more amenable to freewill and less fated than the other houses. The upachaya houses are 3, 6, 10, and 11. Dear Varuna, I think that the only one able to discuss Indian astrology on ISCA is Peter Clark. I´m not able to go into the deep level of your comments, but I think that in general when a person is born he is bounded by the environment, the country, the parents, the DNA. You can argue that this was a pre incarnation choice: maybe it is, if we follow Plato, but this is a question of faith, in my opinion. I fully agree with you that the debate between fate and free will is as simplistic as the division between body and soul. Man is a unity. Perhaps the limit of free will of each one is something inherent to each one´s chart. Thanks for your comments! Certainly start something on an auspicious time favors the result of the action, but this does not mean that you can alter the destination to the point that someone who has a miserable home II may be getting rich. This attempt to modify the destination using electional astrology, trying to somehow overcome the native configuration, not think I can give but apparent changes, and transient, but the destination remains the same. And the changes are later, earlier, problematic. In addition, elective astrology traditionally always used in conjunction with the natal chart. And with regard to free will, the problem is that people act according to their nature, and that is why they are so predictable. In Hindu traditions (among others) the deviation of fate is to do something that is not according to the nature of the individual, and the loss of the castes exemplified. In the corpus Hermeticum talking about an avenging angel in charge to lead us to possibilities that would not have happened if we had not done this or that other, there are many ways to express this. As the only free will that I think we have is to continue what God has intended for us or try to overcome this. Dear Raul: perhaps you are right, but I still believe that if we are able to create something brand new this thing is created. The problem is IF we can create something new from the scratch. I have been doing electional astrology for parentes wanting the best for their babies. I do not know what would be without my electional: I´ll never know. The baby was created in the womb 9 lunar months before to be born, so it was not my entirely my deed. But if we believe in the natal chart, the beginning of life as human being perhaps we can create something better like the good fairy that diminished the evil. I believe also that God gave to some people wisdom enough to partake even if a very few moments in some of His/Her talents. But this is only what I think, and is not necessary truth. which traditionally brings trouble is that this is done in an unorthodox way, astrologically speaking when it is not promised by the natal chart. The pariahs of India often receive the rites of the Brahmins, but this is considered illegal and therefore these Brahmins lose their caste, and suffer all the spiritual and material problems that brings this lost. And it also the pariahs are harmed! The problem is not to make use of the talents, but use them ethically, according to the will of God, which is why the hidden alchemists behind the pseudonym of Fulcanelli believed that cloning is a monstrosity, a deviation from nature, though it be successful. That the consequences of illegal acts may be unable to be seen in just one life, does not mean they do not exist, and when the time is right will bear fruit. Raul: “when it is not promised by the natal chart” , I totally agree with you. And I consider also cloning as a monstrosity; Very good points, Raul! I was suggesting that to do an election can be very useful: if you see by SR, Firdars or Profections that some month will be of pain, you can avoid them let´s say for a trip. But perhaps you can give advice for the client in order to go on and make the same trip in another month. Thanks for the fruitful discussion! No, Clelia, thanks to you. It is a pleasure for me to address these issues. The tradition is most important. By the way, and if you’re interested, I suggest you read an esoterist (but not astrologer) named Rene Guenon, which tackles these questions about the nature of being and its possibilities (among other things) in an excellent manner. I have to read this great philosopher! I´m impressed with the kind of thought he had: I´m happy for concluding as far as I read and it is very few, that we both think alike, Thanks for the tip!